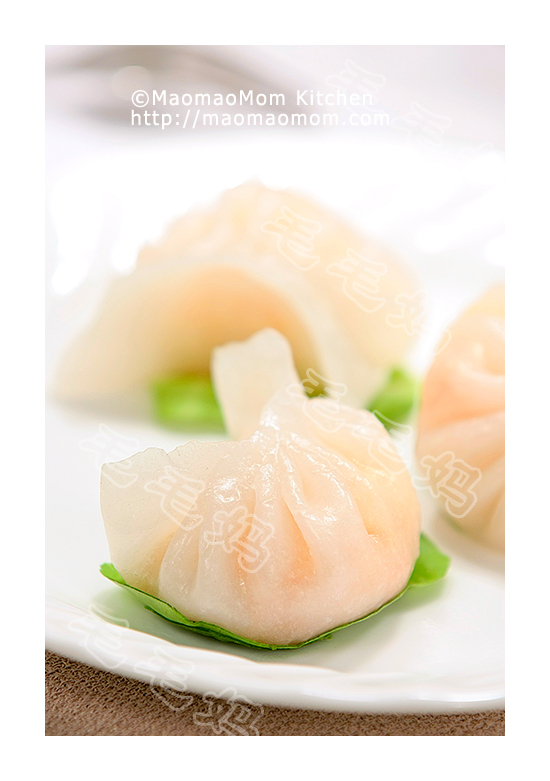 This home made puff pastry meat dumplings are worth the efforts. The wrap is so light and flaky with savoury tender meat filling, what a combination ! 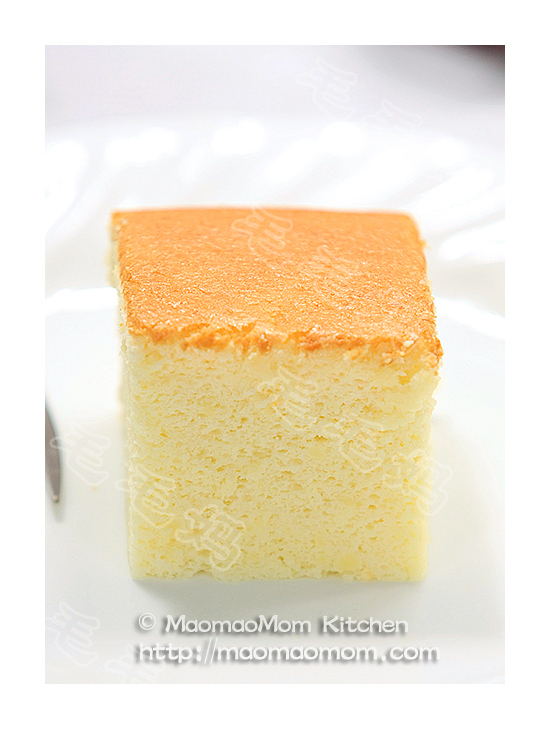 8) 1 1/3 cups unsifted cake&pastry flour (190g), 1/2 cup corn oil (105g). 1: Combine all ingredients of Ingredient 1) to 3) in a bowl, and mix well (picture 1). Add shredded zucchini (picture 2) and stir in one direction for 3 minutes with a wooden spoon, slowly adding 5-6 tbsp cold water until the mixture becomes sticky (picture 3). Cover with food wrap and place in the fridge. 3: Combine all ingredients of Ingredient 5)-6) in a container (picture 4) to form soft dough. The dough can be quite sticky. Add 2 tsp flour and knead to form smooth dough (picture 5). Cover with a damp cloth and let it stand for 20 minutes. 4: Combine all ingredients of Ingredient 8) in a small container. Mix well with a spoon (picture 9), then cover and set aside. 5: Rub some corn oil on both hands and working surface. Knead the dough a few times and divide into two equal portions. Cover one portion and divide the other into 12 small equal portions. Roll out each portion into an oval about 10 cm long, and smooth on 1/24 of oil paste (picture 7). Fold the bottom third up and the top third down (picture 8). Turn 90 deg., press down and roll out into a 4×12 cm rectangle (picture 9). Again, fold the bottom third up and the top third down (picture 10). 6: Roll the dough out into a 12×16 cm rectangle (picture 11). Fold from left to right to form a slender roll (picture 12). Roll from bottom to top (pictures 13 and 14). Cover with food wrap while working on the remaining 11 portions. 7: Press down the dough and roll out into an 8 cm circle. Place 4 tsp filling on a half side (picture 15), fold over the other half over the filling and seal the edges (picture 22). Repeat for the remaining 11 portions. 8: Preheat oven to 375F, place 12 dumplings on a parchment paper lined baking sheet, brush with egg wash and drop some sesame seeds on them (picture 22). Bake for 22 minutes or until surface is light brown. Broil for 1-2 minutes to achieve desired colour. Cool before serving. While the first 12 is baking repeat remaining dough and filling. This entry was posted in Appetizer, 点心 and tagged Cooking Wine, Corn Oil, Corn Starch, Cup Corn, Dark Soy Sauce, Food Wrap, Green Onions, Ground Pork, Light Soy Sauce, Meat Dumplings, Pastry Flour, Pepper Powder, Puff Pastry, Purpose Flour, Smooth Dough, Soft Dough, Tender Meat, Tsp Flour, White Pepper, Wooden Spoon. Bookmark the permalink. Thank you so much for sharing your recipes. I have been following your blog for 6 months. I made different steam buns and 葱油饼successfully. I tried making 酥 last night with curry chicken filling. It was another amazing success. I used one of your older recipes because I don’t have lard at home. I used only 25% (by weight) of the ingredients and made six 酥. I definitely will try the above improved version after I bought lard. 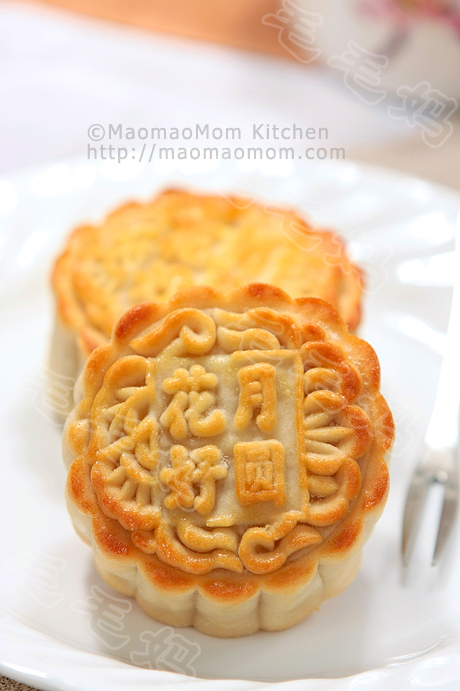 I estimated that each 酥 takes about 3 minutes as it is quite time consuming to roll out the pastry one by one. Anyway, it is worth the effort. As I always analyze the instruction and comments of each recipe, I noticed in 图11 above, it looks like there was a 90 turn from 图10 to 图11. Please advise. BTW, I live in Toronto. I can buy the same ingredients (brand) as you. I have more confidence following your recipe. You are correct on the pictures. Have fun in cooking.